Exchanges can be used to reduce taxes, diversify investments, increase or reallocate basis in property, change the location of investments, and as an integral part of an estate plan all of which can substantially increase your nest egg. Section 1031 arguably provides the best tax shelter left in the tax code. Taxable gain can quite easily be deferred. When Section 1031 is combined with other sections of the Tax Code, it is possible to completely eliminate the deferred tax. When the tax is deferred, a taxpayer has more funds available for re-investment. The government in effect makes an interest free loan to the taxpayer in the amount of the deferred tax. If a taxpayer has fully or substantially depreciated property, Section 1031 can allow the taxpayer to increase basis by using the equity in a depreciated property to leverage the purchase of a more expensive property, thereby providing depreciable basis. An exchange can help diversify assets. Property can be exchanged for any like kind property. For real property, like kind property includes any kind of real estate from a farm or ranch to a shopping center, to an office building. It also includes certain types of mineral interests, if the mineral interest is classified as an interest in real property under state law. Under Section 1031 a taxpayer could exchange out of a farm or ranch and into multiple properties including ranging from income property, to unimproved investment property, to a tenant in common interest in a large mineral interest. The possibilities are virtually endless. 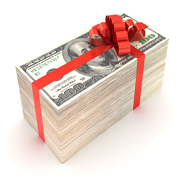 There may be instances when a family desires to gift property to a younger generation. If there are large assets an exchange can be used to diversify into multiple smaller assets to facilitate gifts to children and grandchildren. Low basis property can be retained until death to benefit from a step up in basis which can eliminate taxable gain on low basis property acquired through prior exchanges.